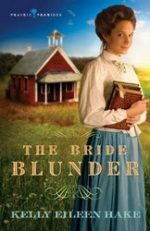 A determined woman with grit – an ex-Texas Ranger with a limp – forced into marriage by a mistaken ordeal! 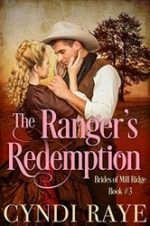 Annabelle Hart is determined to redeem the Texas Ranger who had been injured during a shoot-out. Forced in marriage after an innocent mistaken ordeal, can Annabelle turn this cold-hearted man around? Grant Jennings wanted to be left alone. He didn’t think anyone would ever want a man like him. When Annabelle shows up, things begin to change. A Brand New Release from Marie Higgins. What’s worse than not getting an inheritance? How about discovering a secret engagement to her father’s enemy’s son? 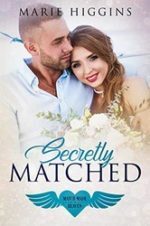 Rayne Kennedy thinks her life is ruined when during the reading of her father’s will, she discovers she’d been secretly matched to Calvin Gates… and in order to get her inheritance, she must marry him and stay married for one whole year. Now she must put her own pending nuptials on hold. No matter how difficult it is, she must resist Calvin’s dreamy eyes and charming smile and remember the kind of life she really wants. Attorney-at-Law, Calvin Gates has tried unsuccessfully to get out of the twenty-year-old contract his insane father signed with Rayne Kennedy’s father. A scheming woman. A man she can’t fathom. A mystery that endangers her career. Is this how God answers Lindsey’s prayers? Lindsey Dumont, photographer, travels to the rugged coast of Washington’s Olympic Peninsula to finish her photo essay on a rare breed of Makah dogs.But disaster looms for her project, and she decides to fight back. 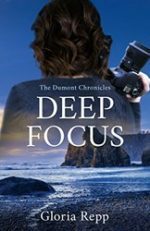 Now she must confront the man who deceived her and unravel a threatening mystery. 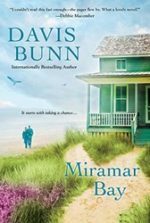 Lindsey Dumont faces a test of courage far from her home in the New Jersey Pine Barrens, and the Dumont family history, yet undiscovered, awaits her return. Unlike the pretentious starlets back in Hollywood, Sylvie Cassick has had to work hard for everything she has. When Connor hears familiar music drifting out of her restaurant, he can’t escape a feeling of finally coming home. Sylvie isn’t sure what to think when this impossibly handsome stranger applies for a waiter’s job. Yet once he serenades her customers – and slowly works his way into her heart – she realizes there’s more to him than he’s letting on. 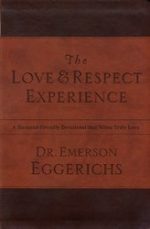 Through the millions of products sold on Love & Respect, Emerson Eggerichs has transformed marriages around the world with his biblically based approach to understanding the love that she most desires and the respect that he desperately needs. Now, in this long-awaited release, Emerson has created an experience for couples that is effective, flexible and life-changing. Johnny Cash is one of the most influential figures in music and American popular culture today. While he was an icon to people of all ages during his life, Cash’s legacy continues after his death. 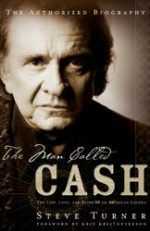 His remarkable story is captured in this exclusive authorized biography, addressing the whole life of Johnny Cash-not just his unforgettable music but also his relationship with June Carter Cash and his faith in Christ. His authenticity, love for God and family, and unassuming persona are what Steve Turner captures with passion and focus in this inspiring book. 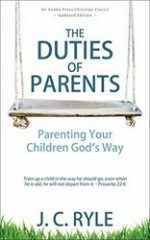 In The Duties of Parents, J. C. Ryle presents seventeen simple and yet profound responsibilities of Christian parents. Nothing new is contained in this little volume, yet what is presented has the potential to change future generations both now and for eternity. Learn how to shepherd your children; learn how to utilize the most significant key of all – love; and learn first and foremost how to present and represent Christ to your children. As you read this book, expect to find yourself both challenged and excited to begin a wonderful, appropriate, and growing relationship with the most wonderful gift God can give us in our lifetime – our dear children. Come visit Buttonwood for a marriage mistake like no other in the third novel of Kelly Eileen Hake’s Prairie Promises series. In the Nebraskan Territory of 1859, Gavin Miller writes home to request the hand of Miss Marguerite Chandler. Unfortunately, while he never forgot Marguerite was the French word for Daisy, he’d failed to recall that the two cousins shared their grandmother’s name, and Marge was the nickname of the wrong Miss Marguerite Chandler! Every life requires a spiritual foundation. Be a minister in the marketplace. Terry Felber has written a parable that will transform your life and your business. 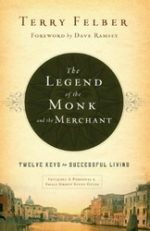 Many years ago, this ago book helped Dave Ramsey rediscover the marketplace as a mission field–and merchants as ministers. Now let it open your eyes to the opportunities for service and leadership all around you. Denominations from evangelical to mainline continue to experience deep divisions over universal social issues. The underlying debate isn’t about a particular social issue, but instead it is about how we understand the nature of scripture and how we should interpret it. The world’s bestselling, most-read, and most-loved book is also one of the most confusing. 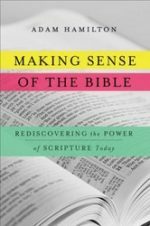 In Making Sense of the Bible, Adam Hamilton, one of the country’s leading pastors and Christian authors, addresses the hot-button issues that plague the church and cultural debate, and answers many of the questions frequently asked by Christians and non-Christians alike.